Acne is one of the most common skin conditions and can make the idea of having beautiful and flawless skin seem like a hopeless endeavor. But don’t give up yet. Apart from the pimples, acne is accompanied by skin irritation, redness, inflammation and pain, and can often leave behind nasty scars and marks on the skin. There are hundreds of lotions, gels, creams, and ointments out there that claim to prevent and treat acne and acne scars. But are these chemical-laden commercial products safe? Many of the harsh ingredients used in such products may end up damaging your skin in other ways. What you require is a complete solution that will prevent and cure acne, reduce scars as well as make your skin healthier and more radiant. That is why is it best to switch to natural remedies proven to be extremely effective and absolutely safe for almost everyone. Aloe vera, lemon, and honey are among the most common natural ingredients used for skin care. This DIY aloe-honey-lemon gel is a combination of these three powerful ingredients. 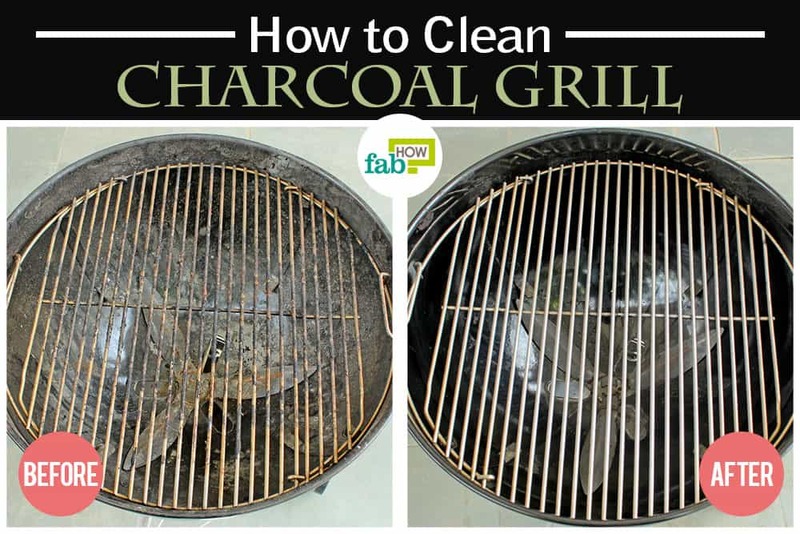 They cleanse the skin and help clear up the acne. It aids in drying out pimples and reducing the size of your pores to prevent further breakouts. The gel will also take care of the irritation and itchiness and provide instant relief caused by breakouts. 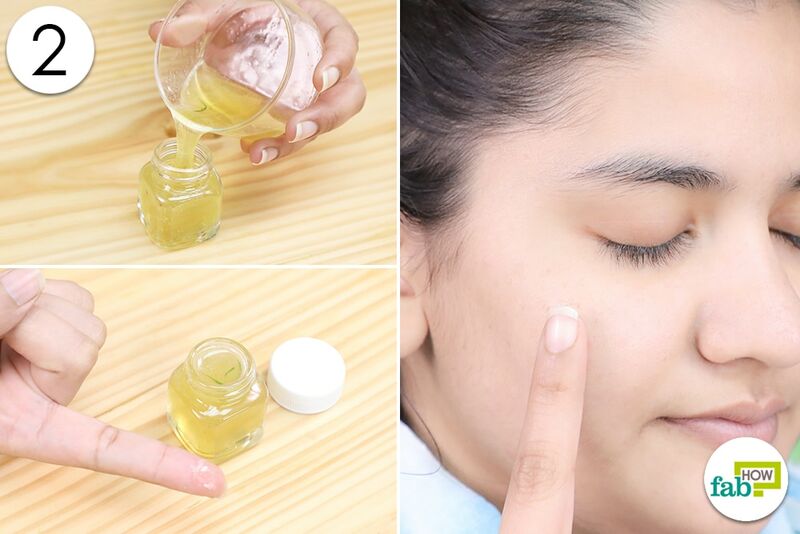 Always do a patch test before using lemon on your skin to know how your skin responds to it. Lemon tends to make your skin photosensitive. It is best to avoid the sun for a few hours after using this gel. Lemon is a strong ingredient, and mixing it with aloe vera gel makes it gentler on the skin. These ingredients are suitable for almost every skin type and work well for reviving dry skin. The gel will not only help reduce the unpleasant acne, but it will also give you brighter, more radiant and healthier skin! 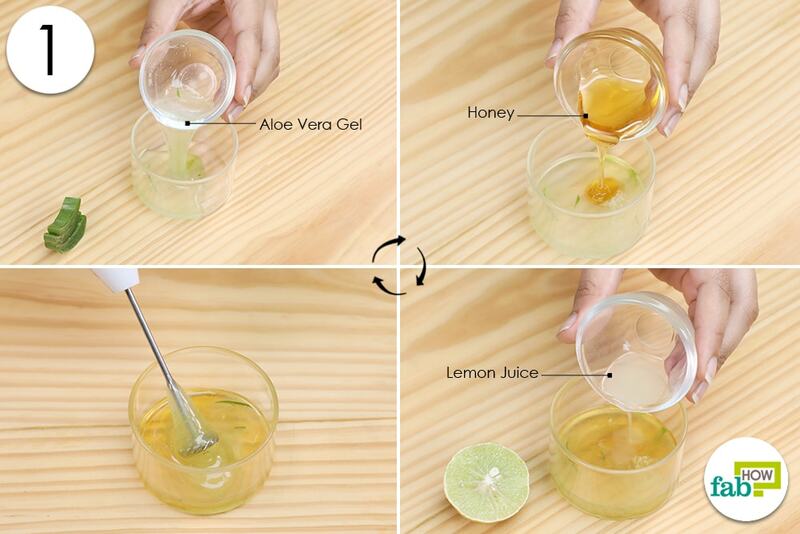 Put 1 tablespoon of fresh aloe vera gel in a bowl. Use a hand blender to mix the ingredients thoroughly. If you are using fresh aloe vera gel and lemon juice, you can store this anti-acne gel for 2-3 days in a cool, dark place. If you are using store-bought bottled aloe vera gel and lemon juice, this anti-acne gel will keep good for a month when kept refrigerated. Use your finger (or a cotton swab) to apply the gel to the affected area. Finish with a mild moisturizer. Use this remedy before bedtime 3 times a week for best results. 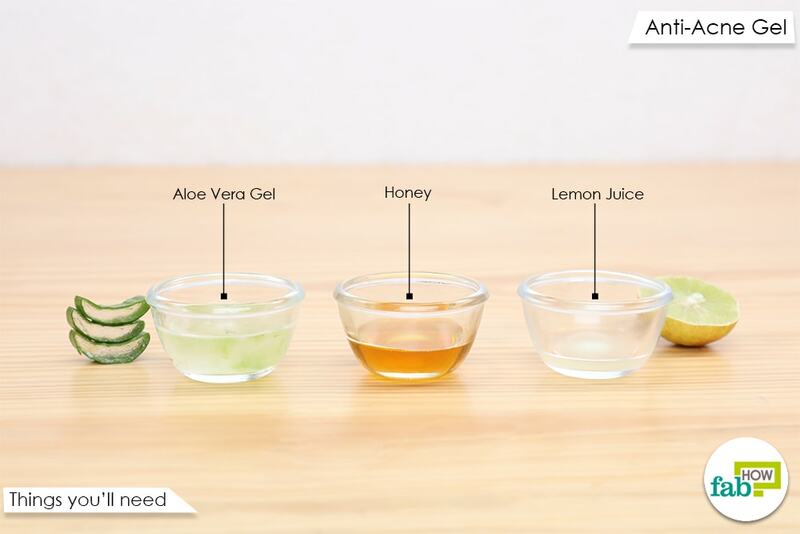 Here is how each ingredient used in this DIY anti-acne gel with aloe, honey, and lemon can help make your skin gorgeous and acne-free. Aloe vera: From natural skin care remedies to store-bought cosmetic products, aloe vera is used extensively. It has medicinal and healing properties and works well for hair and skin woes. Aloe vera comes with vitamins A, C, E, B1, B2, B3, B6, and B12, which make it great for the skin. It also has other beneficial nutrients as well as antioxidant, anti-inflammatory, antiseptic, antibacterial and antimicrobial properties. Aloe vera provides all the necessary actions needed to prevent and treat acne. It aids in fighting acne-causing bacteria as well as reducing inflammation and redness of the skin as well as offers relief from itchy skin. It can stimulate the growth of new cells, thereby helping you get rid of those stubborn scars and marks that acne often leaves behind. Aloe vera gel isn’t harsh on the skin and generally suits all skin types. It works very well for curing mild to moderate acne. It is believed to be useful in boosting collagen production, useful for treating dull and damaged skin. It also effectively tightens the skin pores, which helps to prevent acne breakouts. Moreover, it helps keep the skin clear and healthy. 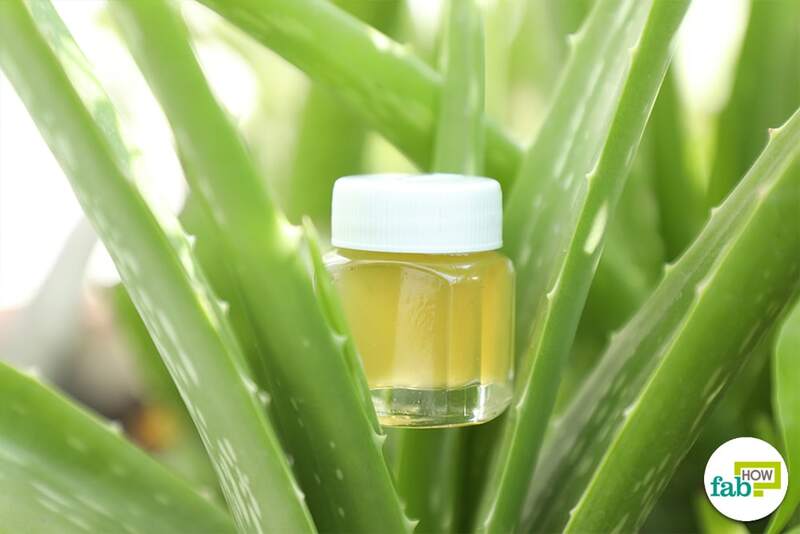 Aloe vera gel also helps keep the skin moisturized and protected against infections. 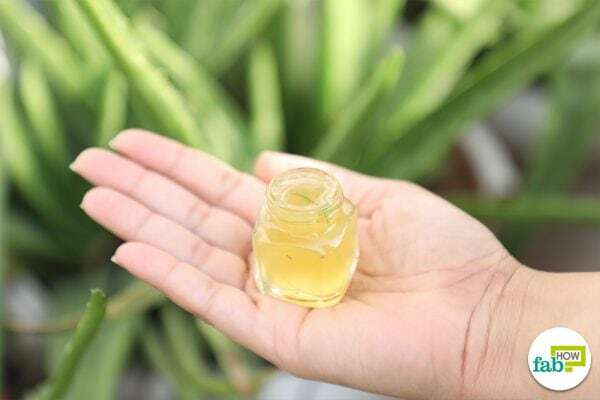 It can also be used for treating sunburns, healing minor wounds or burns, reducing stretch marks, promoting hair growth, fighting signs of premature aging and more. Honey: Honey is the staple ingredient that every natural remedy enthusiast keeps handy. It will keep your skin moisturized, hydrated and glowing. It offers antioxidant, antibacterial, anti-inflammatory and humectant benefits that can be of use in improving the health and appearance of your skin. Plus, it effectively reduces the appearance of scars and spots by promoting healing and regeneration of tissues. Honey helps eliminate the bacteria that causes acne and also significantly reduces the redness and inflammation associated with breakouts. Honey can be used for treating various skin issues, healing minor wounds, curing coughs and sore throats, treating digestive problems, fighting hair problems and much more. Lemon: This versatile ingredient is used for culinary, medicinal, cleaning and cosmetic purposes. Since this natural ingredient is a rich source of antioxidants, it is useful in preventing damage caused by free radicals in the body. It is an excellent source of vitamin C, citric acid, magnesium, potassium, and calcium, and boasts antioxidant, antibacterial, antifungal and astringent properties. Vitamin C present in lemon boosts collagen production and helps accelerate the growth of healthy skin tissue. Lemon also has mild astringent properties and can prevent frequent breakouts by shrinking the appearance of skin pores. As a natural antibacterial agent lemon will help combat acne-causing bacteria. The citric acid content present in lemon aids in exfoliating and cleansing the skin and removing excess oil. It is also a natural bleaching agent and useful in reducing the appearance of spots and scars. Mixed with the right ingredients lemon will help make your skin flawless. Do a patch test before applying the gel to ensure you are not allergic to any of the ingredients. You may use lemon oil instead of lemon juice. You can use manuka honey to make your gel more effective. Manuka honey offers stronger antibacterial benefits. Do not exfoliate your skin before using the gel, as the lemon juice may irritate the freshly exfoliated skin. Keep your skin free from impurities, dirt, excessive oil and a buildup of dead skin cells to prevent breakouts. Do not use low-quality cosmetic products. A nutritious ,well-balanced diet and a healthy lifestyle can help reduce breakouts. Do not squeeze pimples, as it may lead to an infection or scarring.